Chique Afrique, is a family run business set in the Cheshire countryside, exhibiting the most extensive range of contemporary stone sculpture, in the North of England. It all started in 2002, from friendships made with Artists when on holiday and two years later James started to bring home the beautiful artwork created by his friends in Zimbabwe. 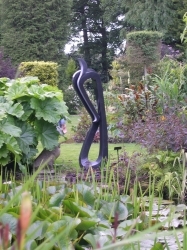 Now working with over 100 Artists, James has slowly developed his collection in the grounds of his home in Mobberley. The Collection now totals over 500 unique sculptures, with space only allowing around 300 to be displayed within the Gardens and showrooms which is open every Summer, normally once a month to visitors with fabulous relaxing areas and free refreshments for visitors. Unfortunately Chique Afrique is not on the RHS Circuit of Shows, but that does reduce their overheads, so they are not as expensive as other companies importing from Zimbabwe. 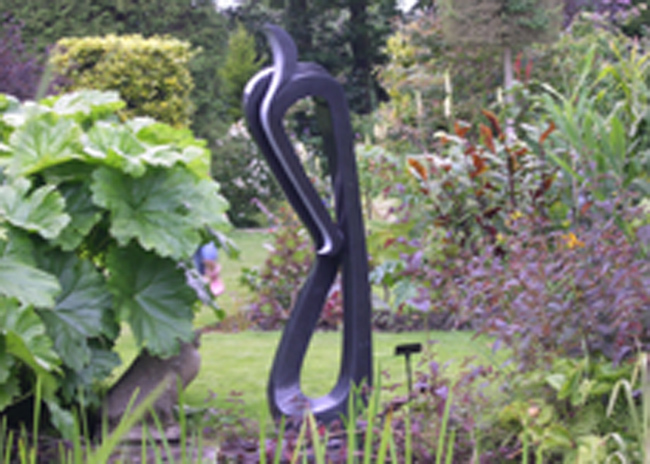 So, please arrange to see their Stunning collection within their Sculpture Garden in the heart of Cheshire, either by appointment or at one of their six public Open Days, during the Summer. Chique Afrique now has a growing following of friends who regularly attend their events and it is because of this that James is able to regularly visit his talented Artists, in Zimbabwe. Knowing each Artist personally, watching them grow over the years, having a great wealth of knowledge and experience when selecting each sculpture, ensures that customers in the UK are assured of purchasing beautiful original designs at the very best possible prices. Chique Afrique does not employ Managers to select and pack the sculptures for them, each sculpture is personally selected and transported to the Packers by James himself. Sometimes James even takes Artists to the mines to select their stones. The regular visits provide continued income for their families and James has strong relationships with his Artists, who only produce exceptional product and stunning new designs to add to the Collection in Mobberley. Within this website you will find a small selection of photographs from the collection, which will give you a small glimpse of the fabulous pieces on display at the Mobberley Showrooms. Our Company believes that Sculpture should NOT be sold online, photographs cannot possibly convey the subtle colour changes within the stone, or the personal impact of the piece, to the individual viewer. Each Sculpture is a unique a three dimensional piece of Art and needs to be personally experienced, just as if you were visiting the Artist yourself! This is why James strongly recommends visiting the gardens and wandering around the gardens, just like thousands of other visitors have already done over the past 14 years. This extensive collection of both traditional and contemporary Shona Sculpture is truly the largest in the North of England and visitors are encouraged to browse at their leisure with no obligation to purchase. If you would like to know more about any of their products, their events or their full delivery and installation service, then please contact them today, on 07766404626.